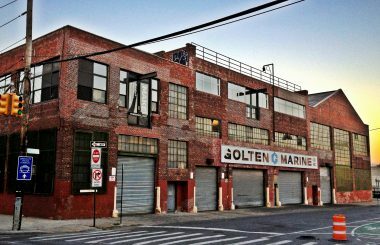 Like many Brooklyn neighborhoods, Red Hook was once a is a heavily industrial neighborhood that is coming into its charm. 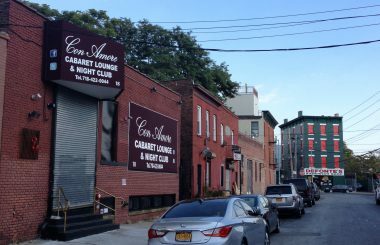 Red Hook is like a small town within Brooklyn, with people who have lived in the community for years, as well as tourists visiting on the weekends. Both demographics are developing the neighborhood into a cool, quaint area with a bright future. Notable retail changes include Ikea, Tesla, and Fairway Market, yet there are many other hip restaurants, cafes and bars that popped up over recent years. A few of the most popular retail offerings are Baked, Steve’s Authentic Key Lime Pies, Hometown Bar-B-Que, Red Hook Lobster Pound, Red Hook Winery and Six Point Brewery, as well as, a plethora of art galleries. Red Hook is a foodie heaven. This neighborhood is filled with boutique restaurant and eateries, all featuring trends and gimmicks that make most wait times 30+ minutes, but patrons have no doubt that it will always be worth it. This pier boasts views not offered by many other spots in Brooklyn – it combines scenic landscapes of the New York Harbor, the Statue of Liberty and infamous Brooklyn street art.